Don’t put off your RV maintenance any longer! Take advantage of our money savings coupons from our Wilkins RV Service Department and get your RV in tip top shape before heading out on your summer vacation. 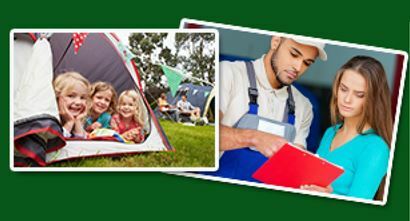 Make an appointment today so you don’t miss out on any precious camping time! Summer goes by super fast, so don’t wait! Here are June’s special service coupons we are offering to help get you out on the road and having fun. Roof Cleaning- Get your entire RV roof surface cleaned for only $48.99! Camco Vent Covers– Leave your vent open rain or shine. High-flow ventilation in an aerodynamic design. Only $27.99! Lippert Electric Tongue Jack– Lift your trailer with the flip of a switch. Only $199.99! Blue Ox Sway Pro– Save Over 20% on this easy to hook up & disconnect anti-sway bar. Only $629.00! (Install for $861) Need additional tips and tricks on how to properly maintain your RV? Check out our exclusive RV Video Library! Choose the “Tech Tips” playlist on the lower right hand side to learn important techniques on how to make your RV travel experience even better. Don’t miss out on these awesome RV service deals… Contact Us at One of Our Locations to schedule your RV Service appointment today!